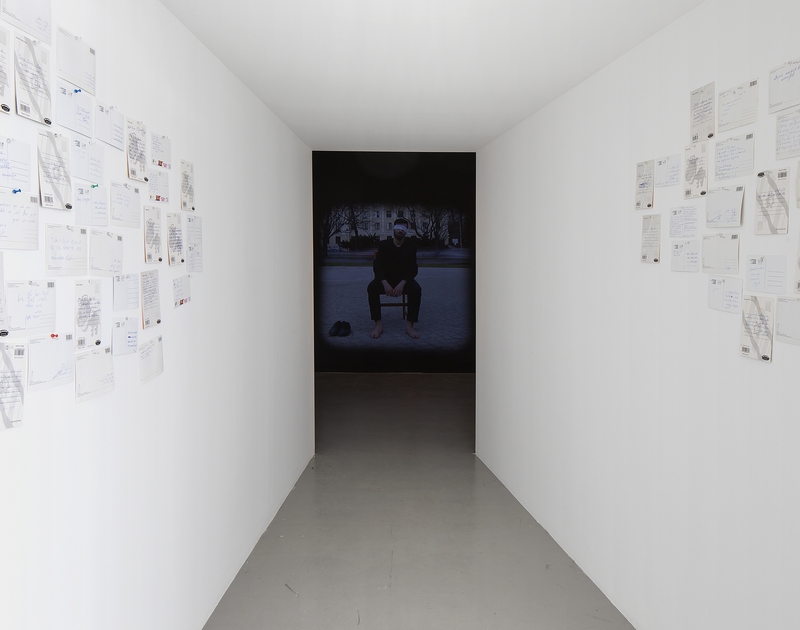 Collected works of performance art from Lublin deal with various social and political issues, starting from the local context artists create capacious metaphors. Operations on Places is a small exhibition with a pretty nice art. 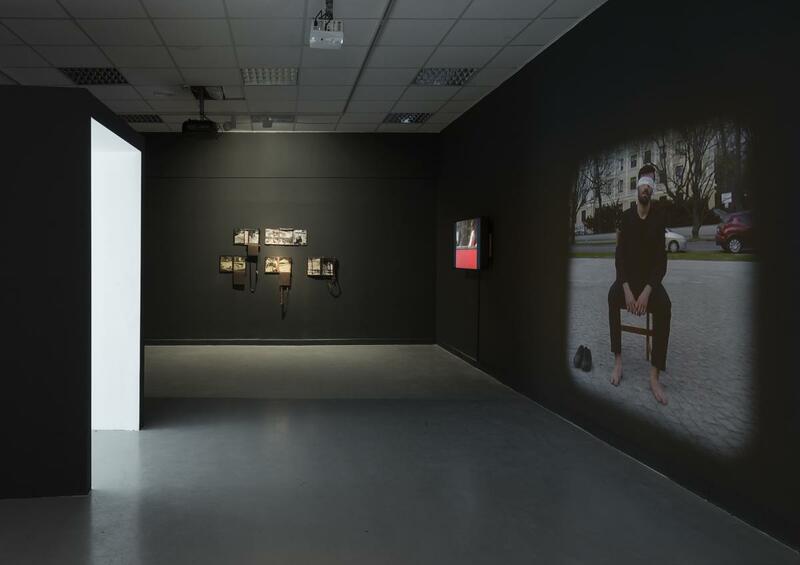 Hidden in the black-painted, upper hall of the Petach Tikva Museum of Art, consists of densely and evenly displayed video, photos and objects evoking performances made in the last ten years in Lublin. Waldemar Tatarczuk, well known in the world of performance art, juxtaposed the works of classics such as Mirosław Bałka, Robert Kuśmirowski, Cezary Bodzianowski, and Adina Baron with the works of artists of the youngest generation. 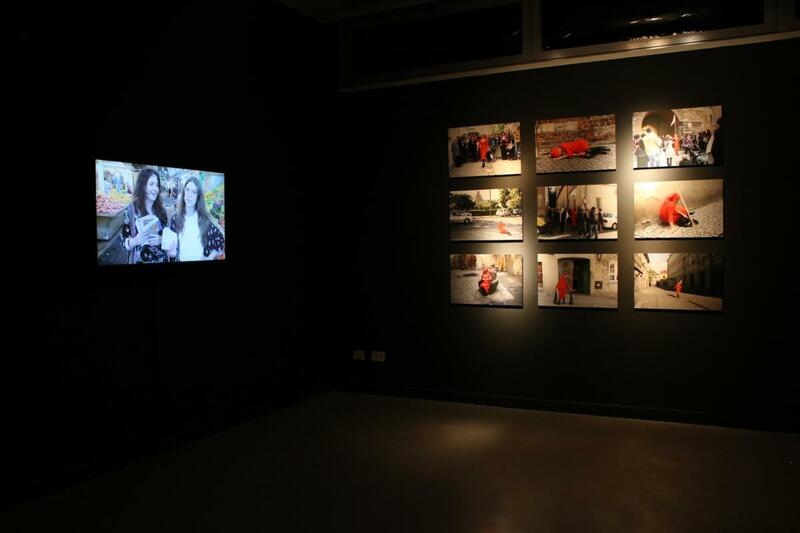 The exhibition has been opened by the Miłe Słowa duo, while the second work presented is Arutiun Sargsyan’s video recording. A courageous curatorial gesture, which allows students works to emerge and makes the exhibition particularly interesting. The intimate exhibition seduces us with simplicity, limitation to the particular place, allowing us to recognize the tensions between the artists. 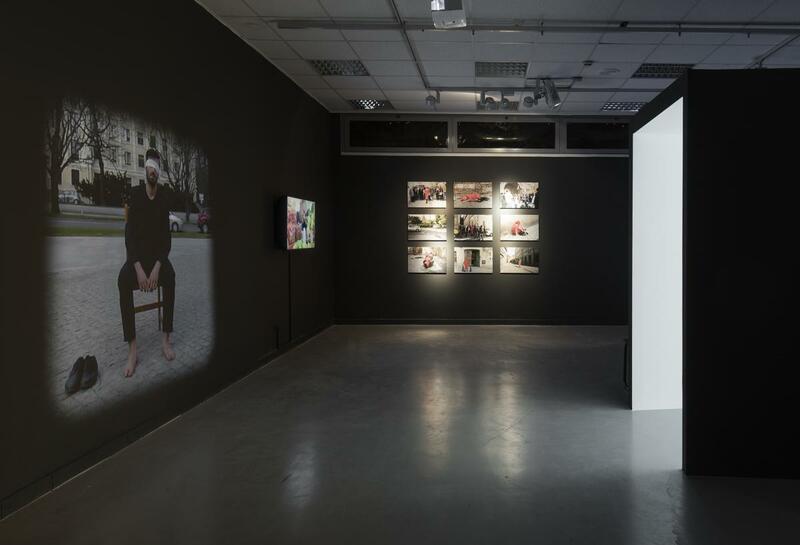 Collected works of performance art from Lublin deal with various social and political issues, starting from the local context artists create capacious metaphors. Although Mirosław Bałka’s film can be associated with the abstract painting of Soviet constructivists, it actually presents the plan of the Nazi death camp at Majdanek located near Lublin. On the other hand, the video recording by Cezary Klimaszewski, depicting the demolition of the social-modernist cultural center in order to prepare the area for the expansion of the church, refers to the history of modernism. Klimaszewski does not actually make performance art, but he registers, edits, poses questions about what has happened to the idea of Open Form by Zofia and Oskar Hansen, the authors of the design of the estates. Adina Baron presented in Lublin a performance originated from the cycle entitled Disposition. A woman dressed in red moves around the Lublin Old Town with a group of observers, and the photographs documenting the action evoke images of modern wars as well as historical clichés referring to Shoah. The title of the performance is ambiguous. On the one hand, it can be associated with displacement, but also with a special attitude that allows us as viewers to perceive in these simple gestures a glimpse of art. 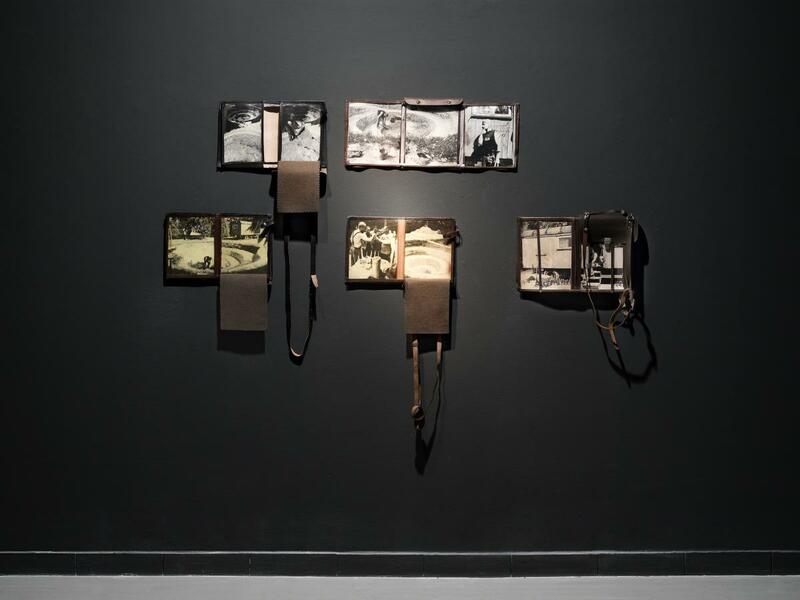 The only artist participating in the exhibition that breaks the topographic and documentary aspect is Robert Kuśmirowski creating a fictional situation that is typical of his recognizable style. However, at the Tatarczuk’s exhibition, even Kuśmirowski’s surrealist gesture can find its identity in the time and space of Lublin. The intimate exhibition seduces us with simplicity, limitation to the particular place, allowing us to recognize the tensions between the artists. In these negotiations of the contemporary definition of performance art, even minor displacements turn out to be of importance. While Cezary Bodzianowski walks around Lublin collecting advertising leaflets to be then thrown into the garbage, freeing himself from the burden of advertisement and commercialism, Miłe Słowa collect greeting cards from the city residents, and then pass this positive energy to the viewers of the gallery. 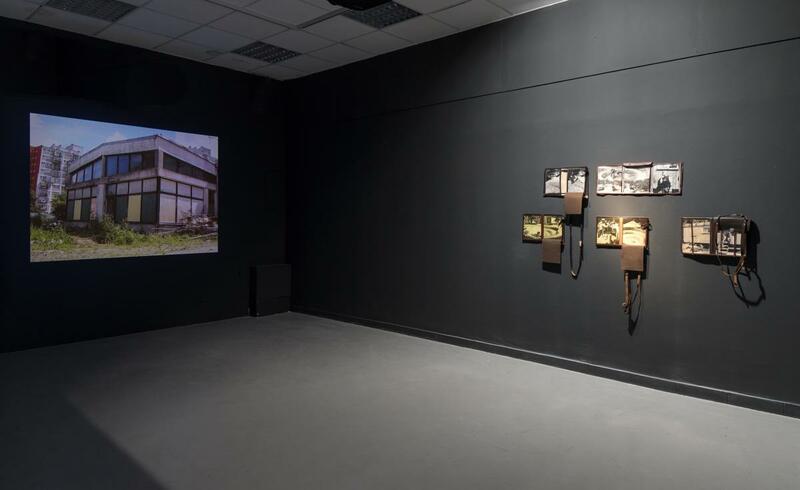 Operations on Places is an exhibition about Lublin, about history, about the condition of contemporary performance art. It is ironic and and in a way distanced, while at the same time engaged and engaging. Performance art according to the Tatarczuk’s exhibition, can be regarded as game in which one is playing with the context in intelligent way. 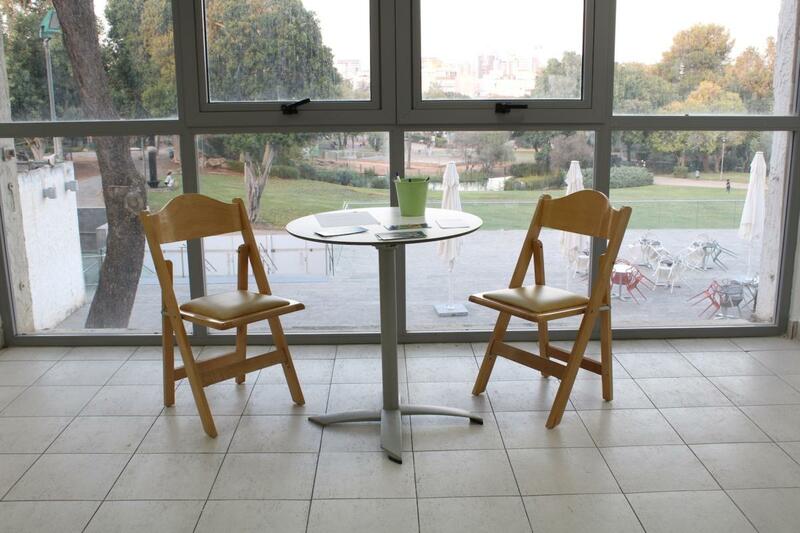 The curator intends to move the exhibition from Petah Tikva to Lublin, complementing the selection of works and probably giving them a more monumental form, which he was not able to do in Israel. Admittedly, changing the place will make it definitely a different exhibition of the same great works.